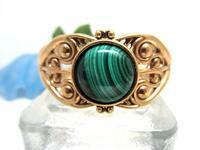 The star of this gorgeous cuff bracelet is the 20mm malachite cabochon. 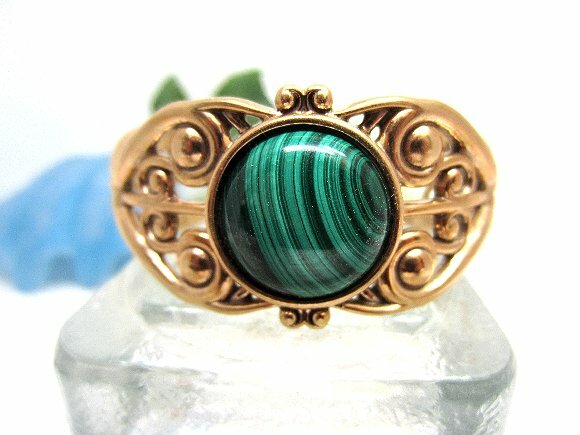 LOOK at the motion in the banding of this stone -- just beautiful! 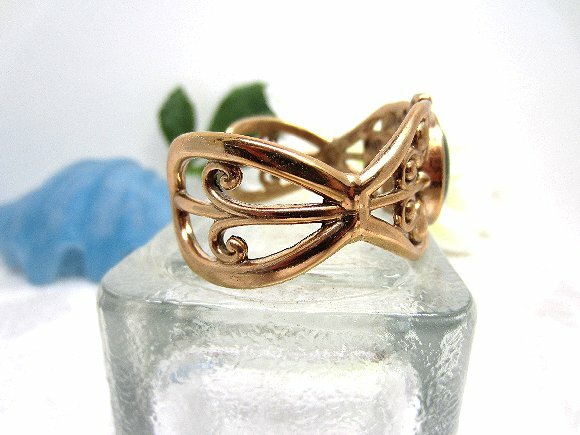 The cuff itself is molded from bronze in an intricate filigree pattern. 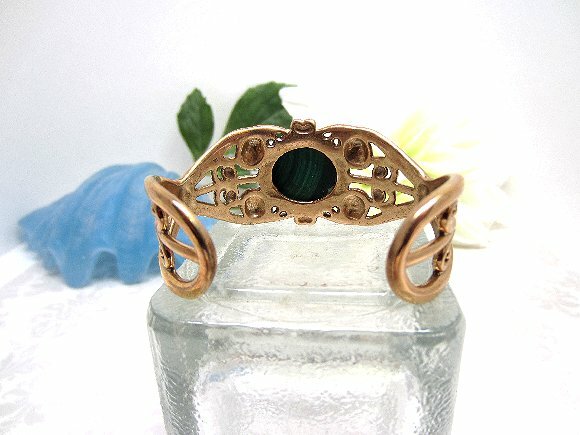 The metal cuff is adjustable to fit all but the largest of wrists. 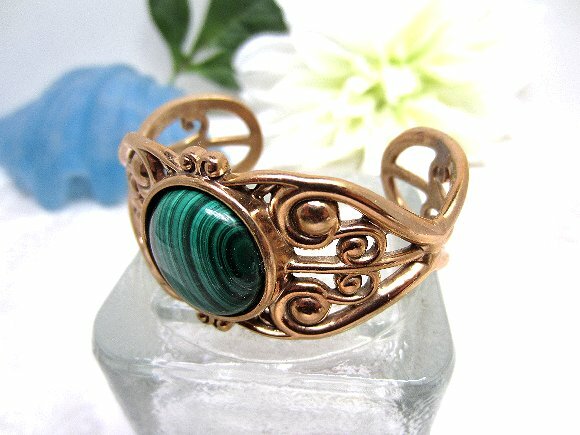 Rich and elegant, it?s another bracelet from SPARKLE PLENTY.